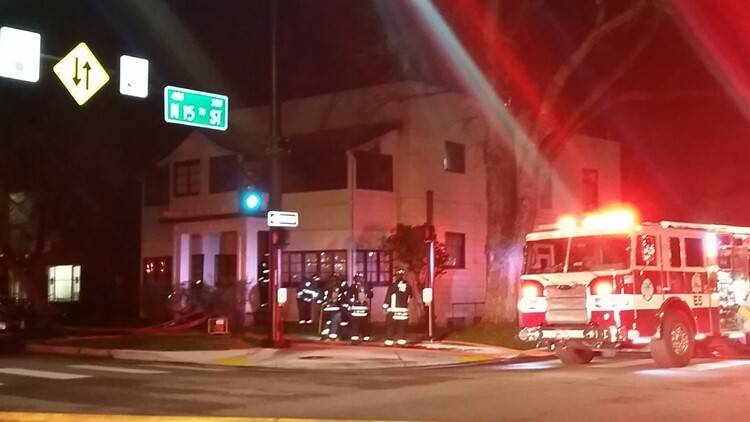 Boise Fire crews responded to a structure fire on 15th and Jefferson streets. The fire was reported at about 9:15 p.m. Tuesday. The fire was first reported just after 9:15 p.m. Tuesday. BOISE, Idaho — The Boise Fire Department has put out a fire inside an apartment building near 15th and Jefferson Street in downtown Boise. Ada County Dispatch says crews are on the scene but did not provide any further details. KTVB crews are on the scene now and were told by fire officials that no injuries were reported and the damage to the building is limited to the second floor. Boise Fire tweeted out that three people were displaced from the fire.